Two takes on yesterday’s ECJ ruling in Rosneft, on the challenge to EU sanctions against the Russian oil company. Yesterday the Court of Justice of the European Union (the CJEU) delivered its judgment in the long-awaited Rosneft case (C-72/15, ECLI:EU:C:2017:236). The judgment clarifies some aspects of the CJEU's jurisdiction over the Common Foreign and Security Policy (CFSP). Moreover, it is an important precedent in the field of EU sanctions law generally, and also resolve some questions of interpretation that are particular to the Russian sanctions. In this blog post I will focus on what the judgment in Rosneft adds to the existing case-law on the review of CFSP decisions. Thus, I will not be discussing any of the more specific questions of EU sanctions law nor summarize the full 197 paragraph judgment. For those looking for a quick summary of the case, I refer to the succinct post by Maya Lester QC at the Sanctions Law blog. I have already sketched out the background of the case in considerable detail in a blog post I wrote here following the oral hearing, and I co-wrote a blog post (with Alexander Arnesen) on Verfassungsblog on the Opinion of Advocate General Wathelet. I will not repeat all this background here. But there is a couple of details that are essential to understanding the issue at hand here and the Rosneft judgment more broadly. Recall that EU law sanctions (also known as "restrictive measures") are enacted through a two-step process. First, the Council adopts a decision under TEU Title V, Chapter 2. This decision is then implemented in Union law (and thus domestically in the EU member states) by virtue of a regulation adopted under TFEU article 215. In the case of the Russia sanctions, as in most sanctions regimes, the wording of the respective decisions and regulations are virtually identical. The use of two legal instruments with different legal bases -- one decision with a CFSP legal basis, and one regulation with a legal basis in the TFEU -- complicates matters when it comes to the jurisdiction of the CJEU. With regard to the regulation, the judgment in Rosneft confirms the obvious: any regulation adopted on the basis of the TFEU article 215 is within the jurisdiction of the CJEU (Rosneft paras 105-106). That is so irrespective of whether the regulation merely restates the decision. On the other hand, the decision is a act adopted under the CFSP. The CFSP treaty provisions and acts adopted under them are carved out of the CJEU's otherwise general jurisdiction over Union law (see TEU article 24 and TFEU article 275). To this carve-out there are two exceptions, a.k.a claw-backs: the CJEU has jurisdiction to monitor compliance with TEU article 40 and to decide on the legality of decisions concerning "restrictive measures against natural or legal persons" (emphasis added). As I will come back to, both claw-backs were at play in Rosneft. With regard to the general scope of the CJEU's jurisdiction over CFSP decisions, the Rosneft judgment further cements the approach that has emerged in the case-law over the last couple of years. Second, while recognizing the explicit limitations on its jurisdiction in the treaties, the CJEU reiterates that those limitations must be interpreted narrowly (Rosneft para 74-75). Or, put differently, the provisions clawing back jurisdiction must be interpreted expansively. What is new in Rosneft is the application of these starting points to a new issue: do the claw-backs apply in the context of preliminary rulings? This question must be answered separately for the each claw-back provision (Rosneft para 61). One of the easier questions before the CJEU in Rosneft was whether the validity of CFSP decisions in light of TEU Article 40 could be determined in a preliminary ruling. The identical claw-back provisions in TEU Article 24(1) and TFEU Article 275(2) simply provide that the CJEU has jurisdiction to "monitor compliance with Article 40 [TEU]". There is nothing to suggest that such monitoring may only happen e.g in actions for annulment. In other fields of EU law, it has long been clear that the CJEU has jurisdiction to declare Union acts invalid in preliminary rulings (see e.g. Case 314/85 Foto-Frost ). Thus, due to the lack of an express and specific limitation, the CJEU concluded that its jurisdiction extended also to monitoring compliance of CFSP decisions with TEU article 40 in preliminary rulings (Rosneft paras 62-63). The key jurisdictional question that the Grand Chamber had to deal with in Rosneft was whether it had jurisdiction to decide on the validity of a CFSP targeted sanctions decision in a preliminary ruling procedure. Due to the CFSP carve-out and the peculiar wording of the claw-back provision for restrictive measures in TEU article 24(1) and TFEU article 275(2), there has been significant uncertainty as to the correct answer to this question. "The [CJEU] shall not have jurisdiction [over the CFSP], with the exception of its jurisdiction [...] to review the legality of certain decisions as provided for by the second paragraph of Article 275 of the [TFEU]". "the Court shall have jurisdiction [...] to rule on proceedings, brought in accordance with the conditions laid down in the fourth paragraph of Article 263 of this Treaty, reviewing the legality of decisions providing for restrictive measures against natural or legal persons [adopted under the CFSP]"
"Any natural or legal person may [...] institute proceedings against an act addressed to that person or which is of direct and individual concern to them and does not entail implementing measures." The combined text of these provisions arguably suggests that the jurisdiction to determine the validity of CFSP targeted sanctions decisions only extends to actions for annulment brought by individuals. TFEU Article 263(4) ostensibly provides for the institution of proceedings for annulment; the types of acts that may be annulled are listed in TFEU Article 263(1)-(2). Conversely, then, the CJEU would lack jurisdiction to determine the validity of such a decision in a preliminary ruling. Against this, one may argue that jurisdiction to rule on the validity of Union acts is inherent to the complete system of legal remedies that the Union treaties establish. How to solve this conundrum? AG Wathelet essentially suggested that the Court should interpret TFEU article 275(2) in the context of TEU article 24(1). In particular, he emphasized the use of the term "certain decisions" in TEU article 24(1), which suggest that the reference in TFEU article 275(2) to TFEU article 263(4) concerns the type of act (“restrictive measures”), and not the type of proceedings (i.e. actions for annulment). 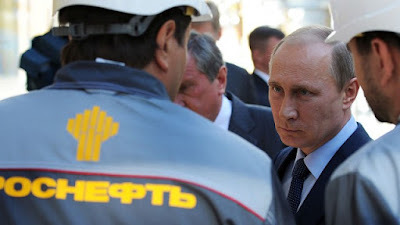 See AG Wathelet in Rosneft, para 61 et seq. Consequently, the validity of CFSP decisions can be determined in any kind of proceedings -- also in preliminary rulings. A further point is that the French language version of TFEU article 275(2) differs from the English in a crucial respect. It provides that the CJEU has jurisdiction "pour controller la légalité de certaines decisions visées à l’article 275, second alinéa [TFUE]". This seems to suggest an interpretation in line with that of AG Wathelet. Although AG Wathelet does not discuss the language discrepancy directly, French is the "langue de travail" at the CJEU, and one may speculate that AG Wathelet relied more heavily on the French version of the treaty text than the English. In Rosneft the CJEU reaches the same conclusion as AG Wathelet; the CJEU has jurisdiction to determine the validity of CFSP decisions in preliminary rulings. In doing so, the CJEU recognizes the textual discrepancy between the otherwise identical claw-back provisions in TFEU article 275(2) and TEU article 24(1), but not (explicitly) the linguistic discrepancy However, it is slightly more careful than AG Wathelet in grounding its argument in other sources than (con)text -- perhaps because the Court is indeed aware of the discrepancy between the language versions. There are in particular two supporting arguments that the CJEU relies on. First, it puts forward a systemic argument. According to the CJEU, it is "inherent" in the Union's "complete system of legal remedies or procedures that persons bringing proceedings must, when an action is brought before a national court or tribunal, have the right to challenge the legality of provisions contained in European Union acts" (Rosneft paras 67-68). Second, the CJEU emphasizes the fundamental rights dimension of judicial protection (Rosneft paras 69-75). As usual in cases on jurisdiction on CFSP acts, it refers in passing to the concept of the "rule of law" (Rosneft para 72). But it also refers extensively to article 47 of the Charter of Fundamental Rights (Rosneft paras 73-74). While the Charter has been mentioned in passing before in cases concerning CFSP decisions (notably in Case C-455/14 P H v. Council et al. ), the emphasis has usually been on the nebulous concept of the rule of law. In Rosneft we see the reverse: an emphasis on the fundamental right of effective judicial protection, which is laid down in positive primary law in CFR article 47. The conclusion that the CJEU draws is thus built on a principled and even more solid ground than that of AG Wathelet. The question of whether the validity of CFSP decisions can be determined in preliminary ruling proceedings must therefore be regarded as settled following the Rosneft judgment. Can the Court of Justice of European Union (‘the Court’) assert jurisdiction and provide a national court with an interpretation of Union law in a case referred to it from a national court under an Article 267 TFEU preliminary reference, when the subject matter is in regard to the Common Foreign and Security Policy (CFSP)? This was one of a number of questions referred to the Court of Justice from the High Court of England and Wales in Rosneft (C-72/15). This week, the Court meeting in a Grand Chamber formation, answered this jurisdictional question in the affirmative. Given the significance of this judgment for the law of the Common Foreign and Security Policy (CFSP), and previous discussion of the Opinion of the Advocate General in 2016, yesterday’s judgment was hotly anticipated given its implications for the ‘specific rules and procedures’ that are applicable to the law of CFSP. As the Court continues in a line of case law to clarify its jurisdiction in CFSP, it is ultimately a question of constitutional importance for the Union’s external relations. Rosneft concerns the EU’s restrictive measure regime, more popularly known as sanctions. The governance scheme surrounding sanctions is a developed body of case law, in which individuals subject to them have the possibility to challenge them directly before the EU’s General Court, the administrative court of the Union. Given that the locus standi (standing) of taking actions to the Court is a narrow right, the use of preliminary references, otherwise known as referrals from national courts, also functions as an indirect means for legal entities to access the Court for adjudication on matters of Union law. What makes the Rosneft case noteworthy, in comparison to other aspects of CFSP and sanctions case law, is that it is the first case on the Court’s jurisdiction to rule on sanctions not taken directly to the EU General Court. Rather, the Rosneft case arrived at the Court of Justice through the preliminary reference procedure from a national court, in this case, the High Court of Justice (England and Wales) in the United Kingdom, upon the basis of Article 267 TFEU. Sanctions have a peculiarity in their procedural sense. Firstly, it requires a CFSP Decision, done on an Article 29 TEU legal basis. Secondly, a subsequent Regulation is decided upon an Article 215 TFEU legal basis, which allows sanctions to be implemented throughout the Union. Accordingly, in Rosneft, on the table was Council Decision 2014/512/CFSP, Council Decision 2014/659/CFSP, and Council Decision 2014/872/CFSP (collectively, ‘the Decision’). Furthermore, there was Regulation 833/2014, Regulation 960/2014, and Regulation 129/2014 (collectively, ‘the Regulation’). The Decision taken by the Council, where Member States as a general rule act unanimously, were directly in response to the alleged actions of Russia in Ukraine. Substantively, the applicant contested the implementation measures by way of Regulation taken by the British Government as a result of the CFSP Decision, of which it too was part of, on the grounds that it contained ambiguities. Accordingly, the substantive question was whether the CFSP Decision was one the one hand sufficiently clear, or on the other, imprecise? In Rosneft, both the Decision and accompanying Regulation were challenged. Yet, it is unclear whether the Court has the jurisdiction to fully answer the questions asked of it, given the first legal act is adopted on a CFSP legal basis (the Decision), and the second legal act on a non-CFSP legal basis (the Regulation). The Court’s jurisdiction in the latter is undisputed given its adoption on Article 215 TFEU, however, much more speculative and up for question is the Court’s jurisdiction on the Decision, given its adoption on a CFSP legal basis. Prior to recent treaty revision, questions surrounding the Court’s jurisdiction rumbled for decades. However, the Treaty of Lisbon, saw a flipping effect, in that jurisdiction of the Court was to be assumed, unless specifically derogated from by the Treaties. One of these derogations was acts adopted upon a CFSP legal basis, which is elaborated in Article 24(1) TEU and Article 275 TFEU. This consequently points to Article 263 TFEU and its fourth paragraph stating, ‘Any natural or legal person may, under the conditions laid down in the first and second paragraphs, institute proceedings against an act addressed to that person or which is of direct and individual concern to them, and against a regulatory act which is of direct concern to them and does not entail implementing measures.’ The first and second paragraphs in Article 263 TFEU do not appear to envisage the possibility for the Court to have the ability to answer questions on preliminary references from national courts. The leading academic material of EU procedural law previously acknowledged that the Court ‘may afford possibilities’ in this area (Lenaerts et al. 2014:458), recognising that it is by no means a settled question. This is, until the right opportunity arose to address it, which was Rosneft. So what did the Advocate-General say firstly? AG Wathelet said the Court did have the jurisdiction to answer the substantive questions of it by the national court. Yet how did he reach this view in light of the treaties, and their apparent formulation to exclude the Court in such matters? Whilst acknowledging the Court’s jurisdiction in CFSP matters appears to be limited by Article 24(1) TEU and Article 275 TFEU ‘at first sight’ (para. 39), he skirted a narrow interpretation of Article 263 TFEU and its apparent lack of foresight for seeing preliminary references in the equation. For the aforementioned Article 24(1) TEU and Article 275 TFEU, it can be assumed there was there a need for them to have the intended same effect. However, they are worded differently, and thus, the Advocate-General said, might put out the ‘false impression’, that the Court had no jurisdiction. Thus, he said, the two articles enable the Court ‘to review the compliance with Article 40 TEU of all CFSP acts’, (para. 65), regardless of what way the question ends up at the Court, that is, through a direct action, or a preliminary reference. The Opinion of the Advocate-General is a demonstrative example of how the restatement of certain constitutional provisions within primary law have the ability to be read differently, despite the intentions of the drafters may have been for such restatements to have the same meaning. Given this part of the Opinion of the Advocate-General on jurisdiction, which was non-binding, what did the Court say, and did it reach the same conclusion? In the judgment issued on 28 March 2017, the Grand Chamber, before going onto matters of substance, had to handle the important question of jurisdiction, and furthermore grapple with the admissibility of the question of jurisdiction. The Council had queried whether the questions referred by the national court could have been answered in respected of the Regulation alone (non-CFSP), rather than contesting the validity of Decision (CFSP) (para. 48). Thus, along this line of thinking, the Court would then not have to assert any jurisdiction on the CFSP legal basis, for which the Council has always viciously defended against any judicial incursion by the Court (Cases C-455/14 P, H v. Council; C-439/13 P Eulex Kosovo; C-263/13 Tanzania; Opinion 2/13; and C-658/11, Mauritius). The Court rejected this Council viewpoint, stating that it is up to national courts alone to ask questions of the Court on the interpretation of Union law (para. 49). The Court was therefore only in a position to not answer a reference when it fails to have a legal question in need of answering, or is only a hypothetical question (para. 50). The Court furthermore in its judgment stated that only focusing on reviewing the legality of the Regulation (non-CFSP), and not the questions asked of it as a whole by the national court, which would not be adequately answering questions asked of it (para. 53). Moreover, despite the sharp distinction between a CFSP act and a non-CFSP act, in order to impose a sanction within the EU legal order, the Court noted that they are inextricably tied. Given how sanctions are imposed in the EU legal order, it is a perfect demonstration of the possibility of close-knit relations between CFSP and non-CFSP legal bases, given the Court in Kadi I said the link occurs when it has been made ‘explicitly’ (Joined Cases C-402/05 P and C-415/05 P, para. 202). The Court in Rosneft however hypothesized that even if the latter Regulation implementing a CFSP Decision was to be declared invalid, that would still mean that a Member State was to conform to a CFSP Decision. Thus, in order to invalidate a Regulation following a CFSP Decision, the Court would have to have jurisdiction to examine that CFSP Decision (para. 56). Once the admissibility of the question of jurisdiction was answered, the Court progressed onto answering the jurisdictional questions raised, in which it concluded that, ‘Articles 19, 24 and 40 TEU, Article 275 TFEU, and Article 47 of the Charter of Fundamental Rights of the European Union must be interpreted as meaning that the Court of Justice of the European Union has jurisdiction to give preliminary rulings, under Article 267 TFEU, on the validity of an act adopted on the basis of provisions relating to the Common Foreign and Security Policy (CFSP)...’ (Ruling 1 of 3). Yet, Court’s assertion of its jurisdiction was not completely unqualified. Rather, it must be meet one of two conditions. The first condition that it may meet, is that it must relate to Article 40 TEU on the Court having the jurisdiction to determine the boundary between CFSP and non-CFSP in its border-policing role. The second condition that the Court’s allows for the assertion of its jurisdiction, is when it involves the legality of restrictive measures against natural or legal persons. The remark on Article 40 TEU is significant from the Court (paras. 60-63). From some corners, the Court has been subject for some remarks for not properly utilising this Article for elucidating what the precise boundaries for a CFSP and non-CFSP. To date, it has shunned such possibilities provided to it to determine the fine lines of this providing, underling the fact that CFSP is an obscure area of the treaties, legally speaking. Rosneft perhaps elucidates some reasons why Article 40 TEU has not been used by the Court to date, namely that it does ‘not make provision for any particular means by which such judicial monitoring is to be carried out’ (para. 62). Thus, given this lack of guidance, the Court finds itself falling back on Article 19 TEU to, ‘ensure that in the interpretation and application of the Treaties the law is observed.’ (paras. 62 and 75). It was advocated nearly a decade ago that rule of law concerns could be used to provide justification for the Court’s jurisdiction in CFSP cases upon a preliminary reference (De Baere 2008:186). Whilst this can be a common phrase with large recourse in a number of situations to justify Court actions, the Court instead of utilising this argument alone here (para. 72), went one-step further. alluded to the EU’s Charter on Fundamental Rights (CFR), selected Article 47 CFR, the right to an effective remedy and a fair trial, ensuring who has ‘rights and freedoms guaranteed by the law of the Union…the right to an effective remedy’. (para. 73), as a basis for clarifying this position on its jurisdiction. From the Court’s perspective in CFSP-related cases, it certainly does not want the possibility for national courts to test the possibility for them to attempt and try invalidate Union legal acts in whatever form (paras. 78 and 79). It it long-standing jurisprudence of the Court stemming from Foto-Frost (314/85), that it alone has the ability to invalidate Union law, which the national courts cannot do. Thus, national courts only have the possibility to invalidate implementing national measures subject to their own constitutional requirements, and not the Union legal acts themselves. The most recent example of the Court clarifying (ie. extending) its jurisdiction into the CFSP arena was H v. Council (C-455/14 P). Unlike H v. Council however (Butler 2016:677 and on this blog), in which the Court asserted jurisdiction, it then proceeded to fling the substantive matter back to the General Court for adjudication. The Court here in Rosneft had to proceed and answer the substantive questions itself, which conclusively, upheld the sanctions in question. The Court and the Opinion of Advocate-General on its jurisdictional points can be commended for not allowing a legal lacuna to be created by further disenfranchising CFSP as a particular sub-set of Union law, and ensuring it was kept as close of the normal rules surround preliminary references as possible. Such a situation, where jurisdiction were not asserted, could have lead national courts to not send preliminary references to the Court in further questions seeking clarification on points of Union law. This potential chilling effect would most certainly hamper not just the nature of sanctions, but also the coherent interpretation of Union law as a whole, for which the Court is the ultimate adjudicator. By coming to the conclusion that the Court did have the jurisdiction, empowering itself with the ability to answer the substantive questions, AG Wathelet acknowledged he was breaking with the view of his colleague, AG Kokott, from her view provided in Opinion 2/13 on the EU’s accession to the ECHR. AG Wathelet said that without the Court having jurisdiction, it would undermine under Articles in the Treaties, namely, Article 23 TEU, which guarantees access to a Court and effective legal protection (para. 66), which albeit by an alternative method, the Court broadly arrived at the same conclusion. Jurisdictional questions are not just inconsequential matters in the exercise of EU foreign policy, but have ramifications for EU procedural law, and the constitutional framework in which Union law operates. The Court’s judgment, clarifying jurisdiction for itself, when it was in doubt, further widens the potential for its scope for a role in EU foreign policy. Hence, how broad a deference is there at the Court to questions that ultimately hinge upon ‘sensitive’ areas of policy? Do Member States want the Court to have jurisdiction in CFSP? The Treaties do their best to prevent it, and five of the intervening six Member States and the Council in Rosneft pleaded that the Court did not have the ability to rule on the validity of CFSP acts. Yet the Court is no stranger to such questions, as it has dealt with jurisdictional questions on sensitive areas before, albeit in a slightly different context. The Area of Freedom, Security, and Justice (‘AFSJ’ or ‘Justice and Home Affairs’)). The Gestoras (C-354/04 P) and Segi(C-355/04 P) cases here provide us with suitable examples. In a pre-Lisbon context, the Court said to interpret the cases as falling outside the scope of the then Article 35(1) TEU because they were preliminary references would not be in ‘observance of the law’. Thus, the Court ruled in both Gestoras and Segi that jurisdiction for the Court in that field was permissible. This, coupled with the Court’s own ‘Declaration by the Court…on the occasion of the Judges’ Forum organised to celebrate the 60th anniversary of the signing of the Treaties of Rome’ made the day before the Rosneft judgment was published, commenced with restating the premise that the EU is, ‘is a union governed by the rule of law’. Yet such spirited measures are always dampened by other events, and it is hardly in fitting with recent developments at the General Court. The NF and Others v. European Council cases, and the Orders by the General Court on 28 February 2017 (T-192/16, T-193/16, and T-257/16), stated that it did not have jurisdiction on the question of the legal basis upon which an ‘EU-Turkey statement’ was reached. The likelihood is therefore that such questions about the scope of the Court’s jurisdiction in non-CFSP matters will rumble on. Whilst this Rosneft judgment has clarified the scope of the Court’s jurisdiction on preliminary reference cases dealing with CFSP-related matters, one has to ask why the litigant did not instead seek to go straight to the EU’s General Court with an action for annulment claim, seeking the annulment of the sanctions applying Union-wide. The Court said that the basis for actions for annulment through direct actions from the treaties do not constitute the only means for which sanctions are challengeable (para. 70). Thus, from this, we can deduce that Rosneft opens the basis for future forum shopping when legal entities are subjected to the Union’s comprehensive sanctions regime under the auspices of CFSP in the future. Remaining questions on the legal limits of CFSP as a special area of area are yet to be fully answered in a categorical way. One example of such is the doctrine of primacy, with lingering questions on its applicability to CFSP. Even with this, jurisdictional questions in CFSP remain. In a recent Order of the General Court in Jenkinson v. Council (T-602/15), it found it did have the jurisdiction to deal with a staffing case stemming from a CSDP, under the wing of CFSP. This demonstrates the caution of the General Court on leading the way on jurisdictional matters, preferring to let the Court of Justice lead the way. Nonetheless, Rosneft clarifies that CFSP is one (small) step towards wider integration with the rest of the EU legal order. Former Judge at the Court, Federico Mancini said once in a speech at the Danish Supreme Court (Højesteret) in Copenhagen that without the system of preliminary references, that the ‘roof would collapse’ (Mancini and Keeling 1991:2). Indeed, this week’s Rosneft judgment, ensuring that Article 267 TFEU preliminary references in cases involving CFSP can be heard, upholds this notion rather tightly.